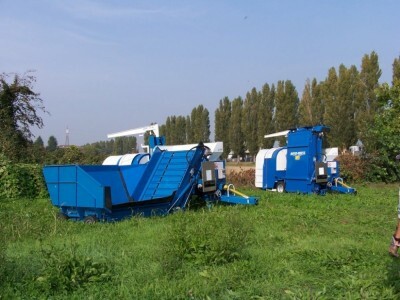 BorgoPanigale is a silage bagging machine engine powered. Available in 2 versions and 5 tunnel sizes from Ø2,0m up to Ø3,6m. 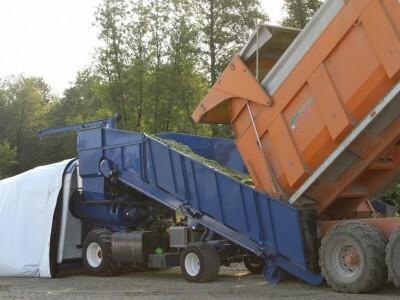 Suitable for corn silage, cereal bagging, grass and other food industry by-products to be preserved in humid status. Wide front conveyor suitable to accept any kind of dumping trailer. 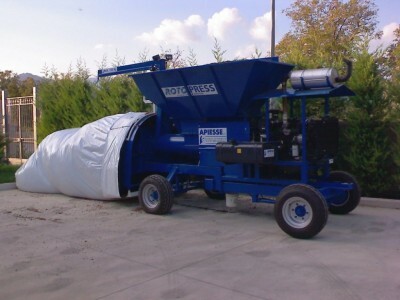 Maranello silage bagging machine engine powered for heavy duty situations. Available in 1 versions and 3 tunnel sizes from Ø3,0m up to Ø4,2m. Suitable for corn silage, cereal bagging, grass and other food industry by-products to be preserved in humid status. Wide front conveyor suitable to accept any kind of dumping trailer. 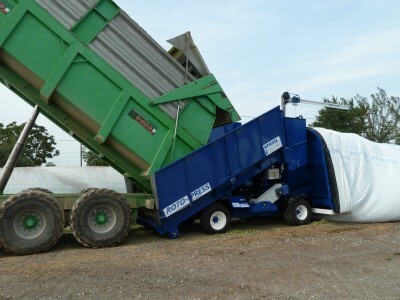 RotoDis small silage bagging machine designed for distilleries, specifically to bag grape marc. Selfpowered available in 2 ersions and 3 tunnel sizes. Feedable by loader only.